2015 Volkswagen Passat 1.8T S Silver CARFAX One-Owner. Clean CARFAX. Certified. FWD 6-Speed Automatic with Tiptronic 1.8L 4-Cylinder DOHC ABS brakes, Compass, Electronic Stability Control, Illuminated entry, Low tire pressure warning, Remote keyless entry, Traction control. Odometer is 15972 miles below market average! Volkswagen Combined Details: * Warranty Deductible: $50 * 100+ Point Inspection * Roadside Assistance * 2 Years of 24-Hr Roadside Asst. Transferability See Dealer for Details * Vehicle History * Limited Warranty: 24 Month/24,000 Mile beginning on the new certified purchase date or expiration of new car warranty expires (whichever occurs later) (for Volkswagen Certified Pre-Owned 2012-2017 Model Years program), 12 Month/12,000 Mile beginning on the new certified purchase date or expiration of new car warranty expires (whichever occurs later) (for Volkswagen Certified Pre-Owned 2018 Model Year and Newer program), 24 Month/Unlimited Mile beginning on the new certified purchase date or expiration of new car warranty expires (whichever occurs later) (for Volkswagen Certified Pre-Owned TDI Models program) Come Join the Family!! 2016 Volkswagen Jetta 1.4T S Blue CARFAX One-Owner. Clean CARFAX. Certified. FWD 6-Speed Automatic with Tiptronic I4 Odometer is 3462 miles below market average! 28/39 City/Highway MPG Volkswagen Combined Details: * Roadside Assistance * Vehicle History * Limited Warranty: 24 Month/24,000 Mile beginning on the new certified purchase date or expiration of new car warranty expires (whichever occurs later) (for Volkswagen Certified Pre-Owned 2012-2017 Model Years program), 12 Month/12,000 Mile beginning on the new certified purchase date or expiration of new car warranty expires (whichever occurs later) (for Volkswagen Certified Pre-Owned 2018 Model Year and Newer program), 24 Month/Unlimited Mile beginning on the new certified purchase date or expiration of new car warranty expires (whichever occurs later) (for Volkswagen Certified Pre-Owned TDI Models program) * Warranty Deductible: $50 * 2 Years of 24-Hr Roadside Asst. Transferability See Dealer for Details * 100+ Point Inspection Come Join the Family!! 2016 Volkswagen Passat 1.8T S Beige CARFAX One-Owner. Clean CARFAX. Certified. FWD 6-Speed Automatic with Tiptronic 1.8L TSI ABS brakes, Alloy wheels, Compass, Electronic Stability Control, Front dual zone A/C, Illuminated entry, Low tire pressure warning, Remote keyless entry, Traction control. 25/38 City/Highway MPG Awards: * 2016 KBB.com Best Auto Tech Award Finalist * 2016 KBB.com 10 Most Comfortable Cars Under $30,000 Come Join the Family!! 2015 Volkswagen Passat Gray CARFAX One-Owner. Clean CARFAX. Certified. FWD 1.8L 4-Cylinder DOHC Volkswagen Combined Details: * Limited Warranty: 24 Month/24,000 Mile beginning on the new certified purchase date or expiration of new car warranty expires (whichever occurs later) (for Volkswagen Certified Pre-Owned 2012-2017 Model Years program), 12 Month/12,000 Mile beginning on the new certified purchase date or expiration of new car warranty expires (whichever occurs later) (for Volkswagen Certified Pre-Owned 2018 Model Year and Newer program), 24 Month/Unlimited Mile beginning on the new certified purchase date or expiration of new car warranty expires (whichever occurs later) (for Volkswagen Certified Pre-Owned TDI Models program) * Roadside Assistance * Warranty Deductible: $50 * 2 Years of 24-Hr Roadside Asst. Transferability See Dealer for Details * Vehicle History * 100+ Point Inspection Come Join the Family!! 2015 Volkswagen Passat 1.8T Sport White CARFAX One-Owner. Clean CARFAX. Certified. FWD 6-Speed Automatic with Tiptronic 1.8L 4-Cylinder DOHC ABS brakes, Compass, Electronic Stability Control, Emergency communication system, Heated door mirrors, Heated front seats, Illuminated entry, Low tire pressure warning, Remote keyless entry, Traction control. 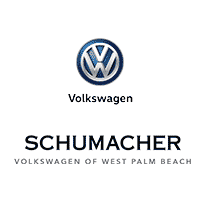 Volkswagen Combined Details: * 2 Years of 24-Hr Roadside Asst. Transferability See Dealer for Details * 100+ Point Inspection * Limited Warranty: 24 Month/24,000 Mile beginning on the new certified purchase date or expiration of new car warranty expires (whichever occurs later) (for Volkswagen Certified Pre-Owned 2012-2017 Model Years program), 12 Month/12,000 Mile beginning on the new certified purchase date or expiration of new car warranty expires (whichever occurs later) (for Volkswagen Certified Pre-Owned 2018 Model Year and Newer program), 24 Month/Unlimited Mile beginning on the new certified purchase date or expiration of new car warranty expires (whichever occurs later) (for Volkswagen Certified Pre-Owned TDI Models program) * Roadside Assistance * Vehicle History * Warranty Deductible: $50 Come Join the Family!! 2016 Volkswagen Jetta 1.8T Sport Black CARFAX One-Owner. Clean CARFAX. Certified. FWD 6-Speed Automatic with Tiptronic 1.8L I4 Turbocharged Odometer is 4635 miles below market average! 25/36 City/Highway MPG Volkswagen Combined Details: * Limited Warranty: 24 Month/24,000 Mile beginning on the new certified purchase date or expiration of new car warranty expires (whichever occurs later) (for Volkswagen Certified Pre-Owned 2012-2017 Model Years program), 12 Month/12,000 Mile beginning on the new certified purchase date or expiration of new car warranty expires (whichever occurs later) (for Volkswagen Certified Pre-Owned 2018 Model Year and Newer program), 24 Month/Unlimited Mile beginning on the new certified purchase date or expiration of new car warranty expires (whichever occurs later) (for Volkswagen Certified Pre-Owned TDI Models program) * 2 Years of 24-Hr Roadside Asst. Transferability See Dealer for Details * 100+ Point Inspection * Roadside Assistance * Vehicle History * Warranty Deductible: $50 Come Join the Family!! 2015 Volkswagen Passat 1.8T Sport White CARFAX One-Owner. Certified. FWD 6-Speed Automatic with Tiptronic 1.8L 4-Cylinder DOHC Moonrock Gray w/V-Tex Leatherette Seating Surfaces, Electronic Stability Control. Odometer is 12121 miles below market average! 24/34 City/Highway MPG Volkswagen Combined Details: * 2 Years of 24-Hr Roadside Asst. Transferability See Dealer for Details * Vehicle History * Warranty Deductible: $50 * Limited Warranty: 24 Month/24,000 Mile beginning on the new certified purchase date or expiration of new car warranty expires (whichever occurs later) (for Volkswagen Certified Pre-Owned 2012-2017 Model Years program), 12 Month/12,000 Mile beginning on the new certified purchase date or expiration of new car warranty expires (whichever occurs later) (for Volkswagen Certified Pre-Owned 2018 Model Year and Newer program), 24 Month/Unlimited Mile beginning on the new certified purchase date or expiration of new car warranty expires (whichever occurs later) (for Volkswagen Certified Pre-Owned TDI Models program) * 100+ Point Inspection * Roadside Assistance Come Join the Family!! 2019 Volkswagen Jetta 1.4T S Orange Metallic CARFAX One-Owner. Clean CARFAX. Certified. FWD 8-Speed Automatic with Tiptronic 1.4L TSI ABS brakes, Electronic Stability Control, Illuminated entry, Low tire pressure warning, Remote keyless entry, Traction control. Odometer is 4923 miles below market average! 30/40 City/Highway MPG Volkswagen Combined Details: * 2 Years of 24-Hr Roadside Asst. Transferability See Dealer for Details * Vehicle History * Roadside Assistance * Limited Warranty: 24 Month/24,000 Mile beginning on the new certified purchase date or expiration of new car warranty expires (whichever occurs later) (for Volkswagen Certified Pre-Owned 2012-2017 Model Years program), 12 Month/12,000 Mile beginning on the new certified purchase date or expiration of new car warranty expires (whichever occurs later) (for Volkswagen Certified Pre-Owned 2018 Model Year and Newer program), 24 Month/Unlimited Mile beginning on the new certified purchase date or expiration of new car warranty expires (whichever occurs later) (for Volkswagen Certified Pre-Owned TDI Models program) * 100+ Point Inspection * Warranty Deductible: $50 Come Join the Family! !